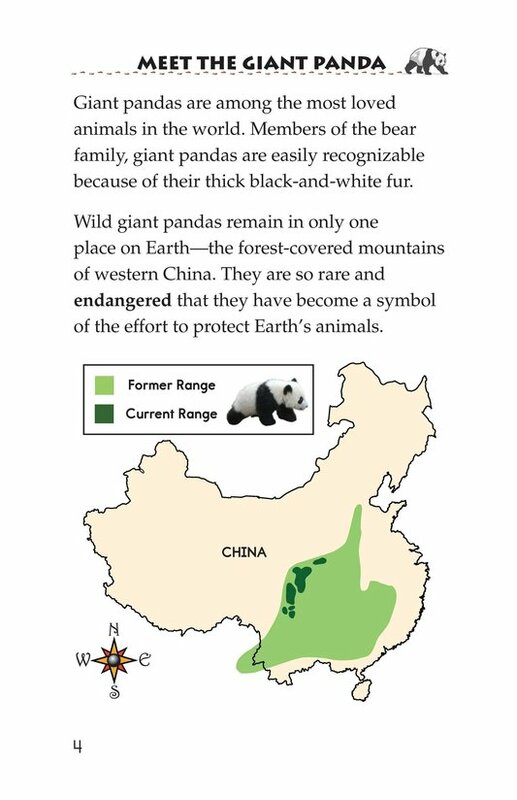 Giant Pandas is an introduction to the popular black-and-white bear. 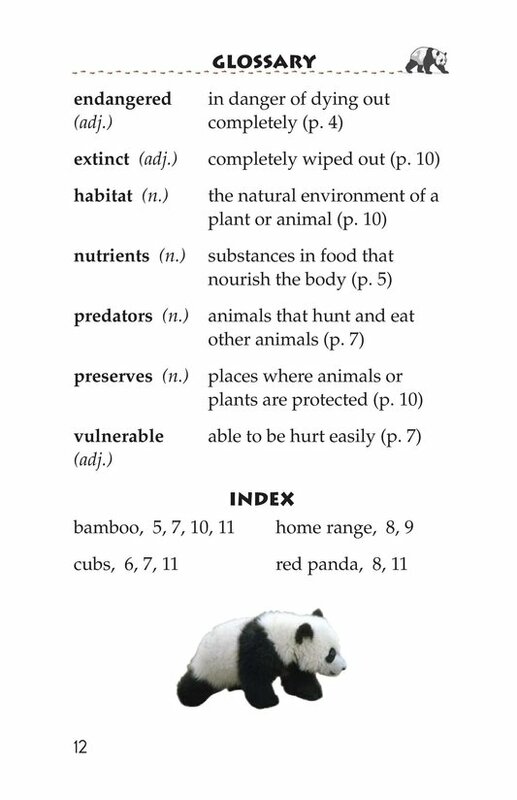 It reports the mammal's size, life cycle, location, and endangered status. 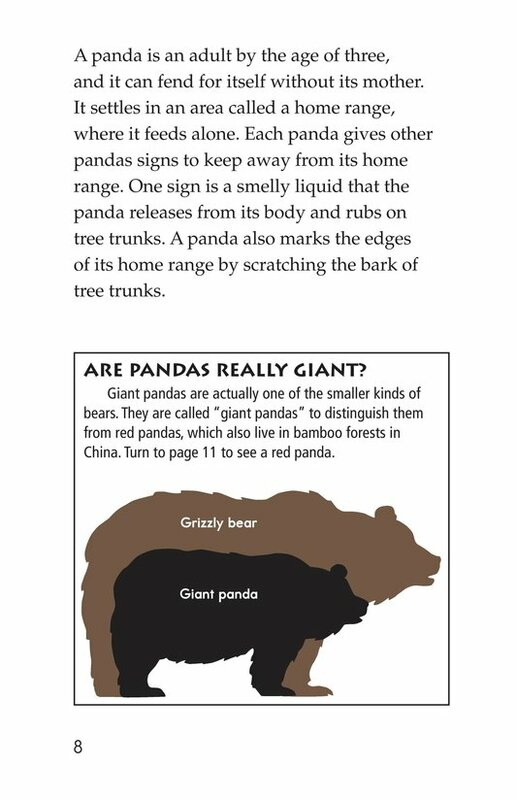 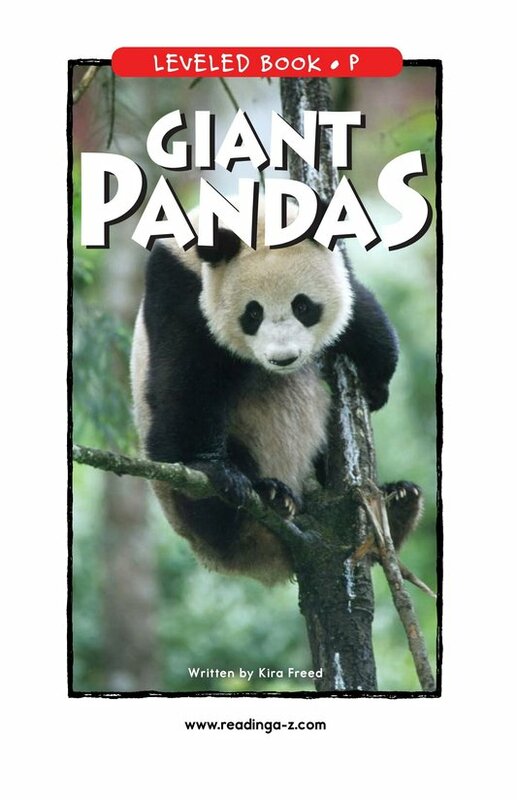 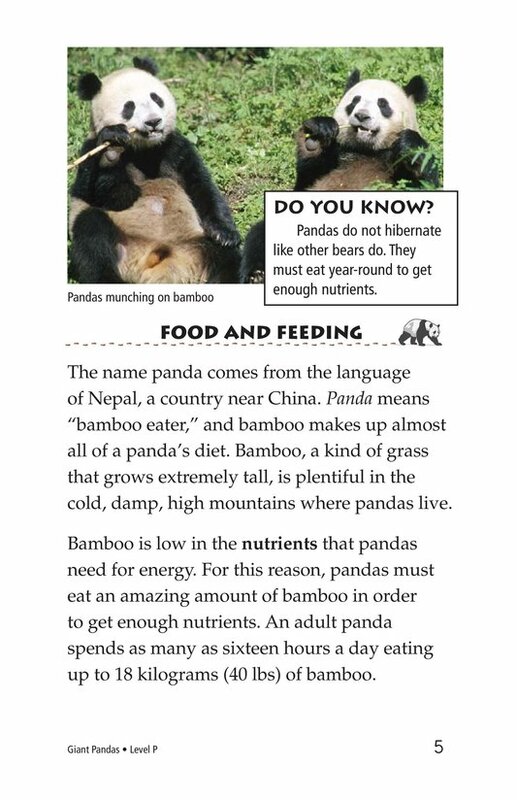 The author explains how the giant panda got its name, what it eats, and why it doesn't hibernate. 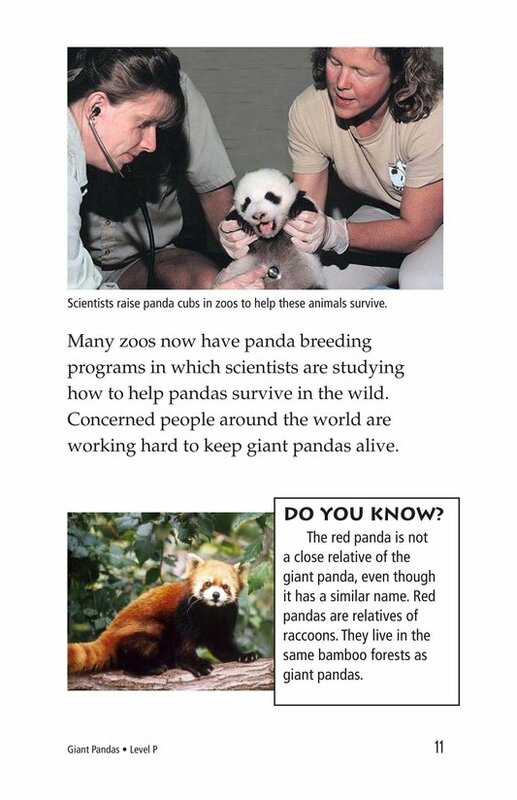 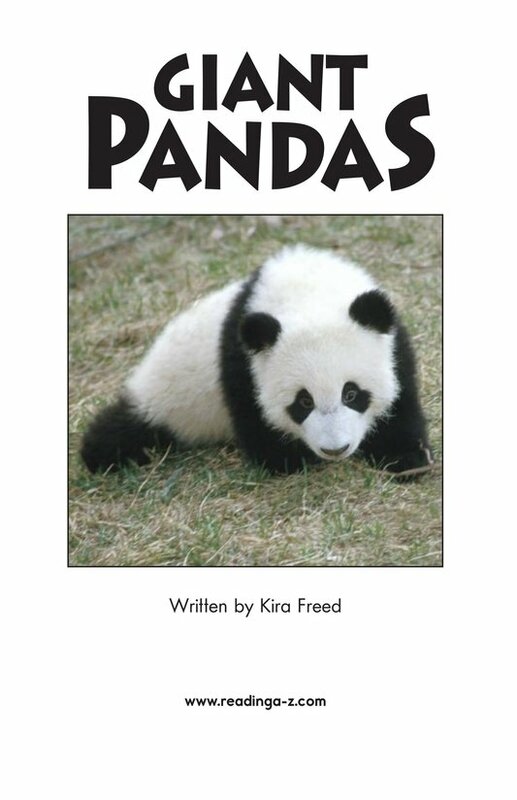 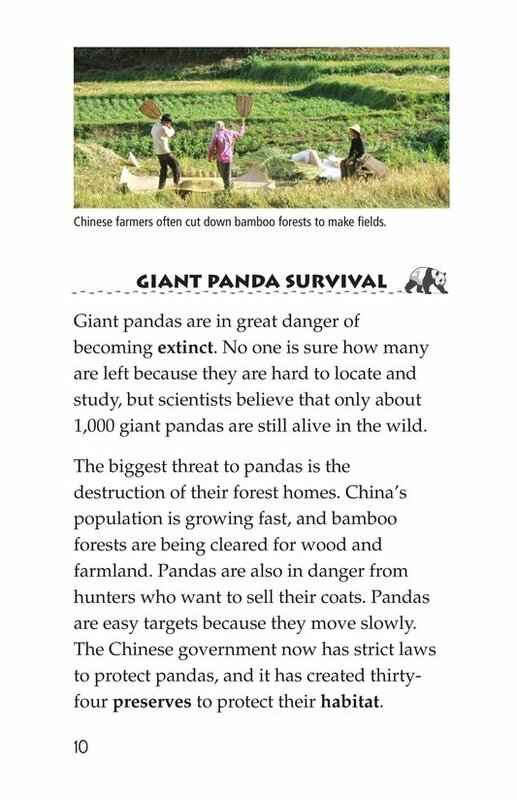 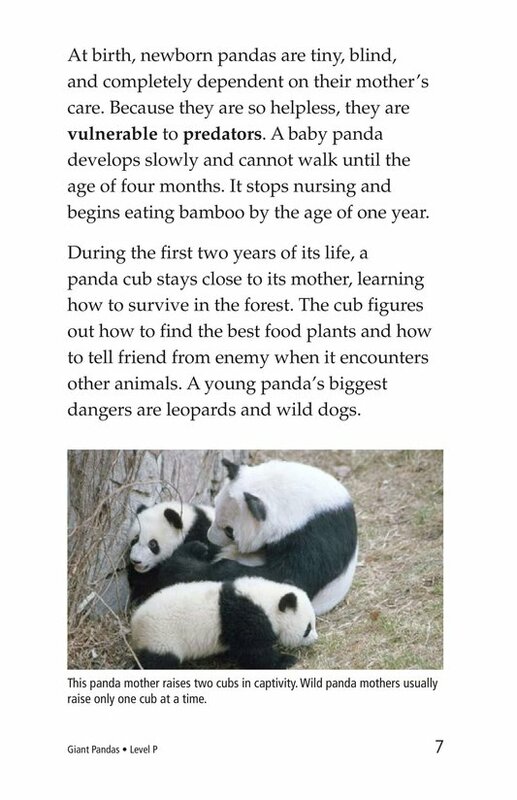 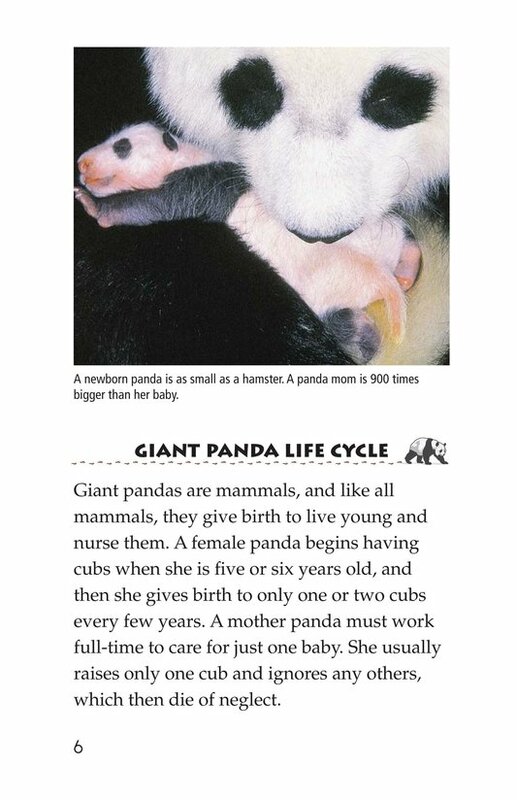 The book also discusses the things being done to protect giant pandas from extinction. 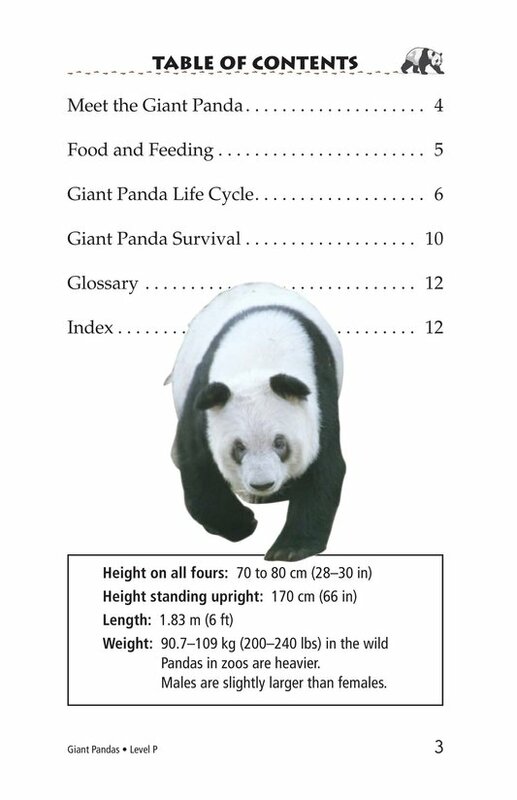 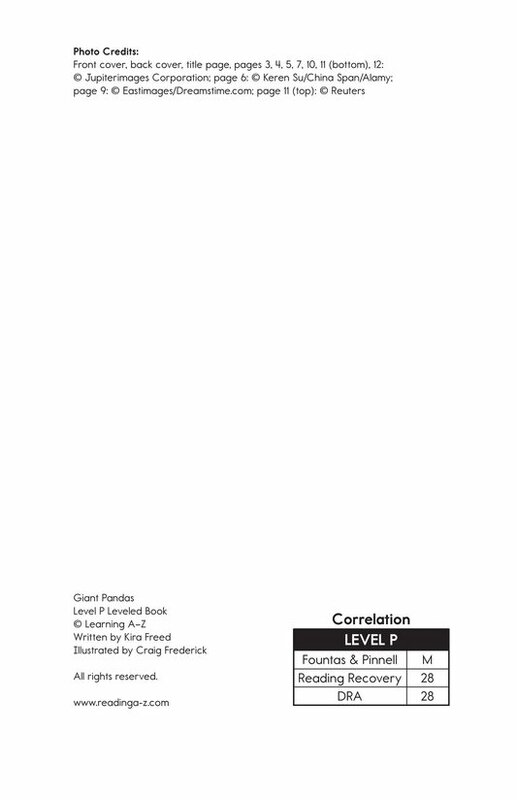 Photographs, maps, and charts support the text.